This site was created with the intent of contributing to the proud history of totally random crap on the internet. I've been publishing information on websites for years, however, occasionally I have stuff that doesn't fit into the scope of the sites I normally post to. So I needed to find a place to post this "stuff". Hmmm, I wonder what would be a good name for a site like that? You know, some place to post my other stuff. Well, to make a short story short, this is MyOtherStuff.com and here is some Random Crap. 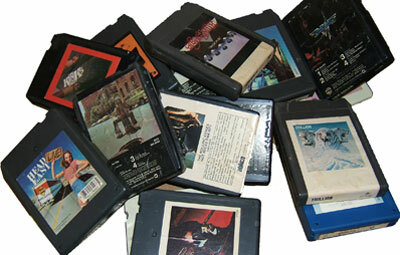 Feel like getting nostalgic by listening to the click-click sound of an 8-track player. Want to go retro on your mp3 player by adding an 8-track click? Don't know what the hell an 8-track is or what kind of sound it makes? Are you a fan of Rock'n'Roll screams? Here is my short compilation of screams I found in my record collection. Go to Screams from Dave's Record Collection. 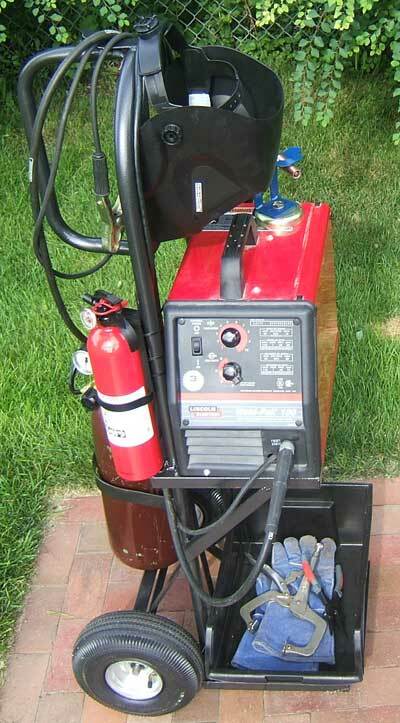 Quick and easy DIY Portable Upright MIG Welding Cart. I'm not a professional welder, hell I'm not even an amateur welder. I purchased a little wire feed welder back in the 90s to do occasional small home and auto repair tasks. It was just a flux-core welder at the time (no gas). Then in 2010 I decided I was going to take a crack at doing some auto body sheet metal work (rust repairs) on my truck. Fortunately I was still able to purchase a MIG conversion kit for my little welder. Now, with the tank and stuff, I figured a cart would be useful. 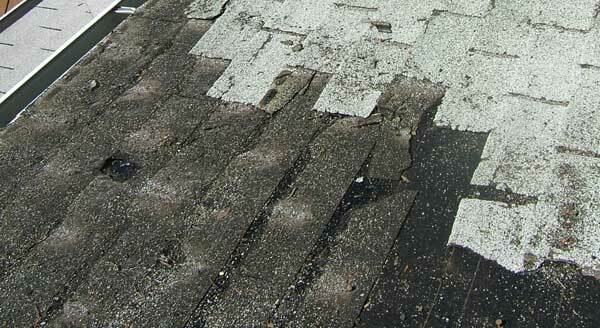 Stripping asphalt shingles from an old roof with Ice and Water Shield. Absolute beginner's guide to publishing a website using FTP. One of the problems with many of the FTP tutorials I've encountered, is the assumption that the reader already knows something about FTP and the directory structure of hosted web accounts. So they leave out some of the basic stuff like how you know what web address to use in the FTP client, and where exactly do you upload your files. Here's a sampling of what I do for recreations.